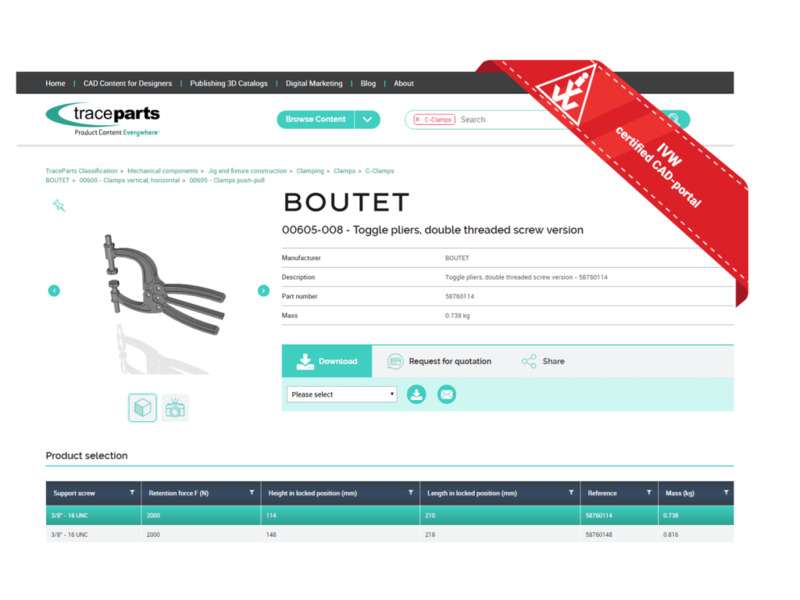 TraceParts.com has been certified since December 2012 by IVW**, as thefirst and only organization of its kind as a world-leading CAD-content platform for the construction industry. To ensure that online media do not exaggerate their audience, visitor numbers and page impressions, there are various institutions engaged in checking the figures given, whose job it is to monitor and verify these details independently. One of the best-known institutions involved in this is the IVW, who has been determining and verifying media circulation in a neutral, impartial way since 1949. As an inspection body that is independent of the state, non-commercial and neutral, the IVW provides the media and advertising industry with vital data for marketing media. The IVW membership and certification allows us to provide our customers and partners with reliable,verifiable and audited traffic numbers. The objective IVW measurement gives part vendors a neutral validation of their product catalogs exposure, as well as of their advertising messages. We are strongly committed to demonstrating accuracy,reliability and credibility for all the data we publish, not only for our catalog content but also for our traffic results. The TraceParts certified traffic numbers can be viewed at www.ivw.de. **Independent organization that certifies and audits the circulations of major print and online publications in Germany.